April Fools’ Day has come and gone but not without getting the best of some people. Yes, some of the jokes backfired, as we’ve talked about before. But it shouldn’t be a surprise that a lot of people still fall for these pranks, especially the elaborate and well-executed ones. Many of them are quite entertaining, particularly if they happen to other people. Here are 10 that we saw this year. Which ones did you fall for? The BBC is a master of April Fools’ jokes. One of the best aired on April 1, 1957, when it claimed that people in Switzerland were planting spaghetti on their farms. Many UK citizens fell for the prank and called the BBC to inquire as to how they could plant their own spaghetti. The joke is even cited as being the first April Fools’ joke ever aired on television. In 2018, the hunters became the hunted. The Observer newspaper published an elaborate prank, and the BBC fell for it—on live television. The Observer reported that a tech firm in Gibraltar, Italy, had released two Brexit-themed emoji. They were the Brexit Bulldog for pro-Brexit supporters and the Starry Blue for the anti-Brexit movement. Roger Johnson and Babita Sharma were hosting BBC Breakfast when they took on the story. They fell for it and could not even hide their love for the two emoji. That continued until viewers started calling in to say that the emoji were an April Fools’ joke. The broadcasters only realized their predicament 10 minutes after they first reported on the emoji. Johnson congratulated the newspaper on its successful prank and proceeded to the other business of the day. 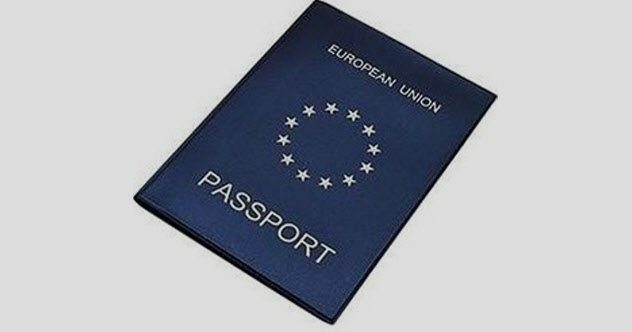 Still on Brexit, the European Parliament office in the UK jokingly tweeted on April 1, 2018, that the European Union was dumping its burgundy-colored passports for dark blue ones. It reported that the change would go into effect in March 2019. This came after the UK had agreed to switch its burgundy passports to dark blue passports. Although it was not compulsory, European Union rules suggested that every member state adopt burgundy passports. All EU member states except Croatia use burgundy passports. Croatia opted for dark blue passports because the burgundy passports resembled the red ones issued when the nation was still a part of Yugoslavia. Elon Musk joined the April Fools’ Day bandwagon this year. He put considerable effort into his prank and might have even hired writers from the satirical site The Onion to create the tweets sent from his Twitter account. 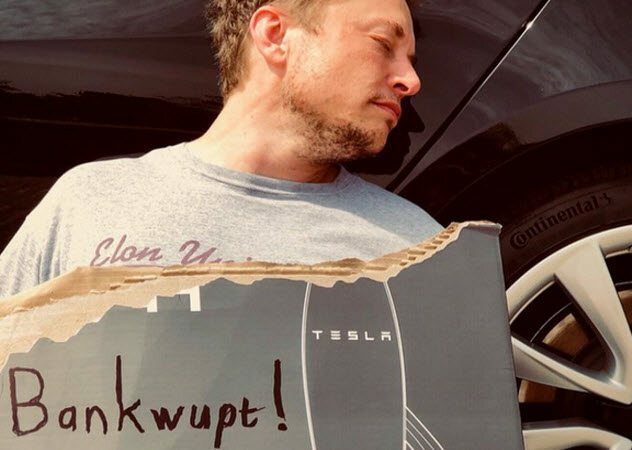 For April Fools’ Day, Musk stated that Tesla had gone bankrupt despite several last-minute attempts to raise money, including selling Easter eggs. In another update, this time on Instagram, Elon Musk uploaded the picture of a bottle of his Teslaquilla, which even had the Tesla logo. Some took the prank too seriously and inquired when Teslaquilla would hit stores. Apparently, Australians preferred calling Google “Googs” or “Googz.” However, Google settled on “Googz” because “Googs” was not cool enough and the “s” had too many curves, which complicated the creation of a logo. Then Conlon said that the company had changed the logo on their office building in Australia, and she even added a picture to prove it. New merchandise with the Googz name was said to be available for sale. At the end of the statement, she revealed that it was all an April “Foolz” joke. For April Fools’ Day 2018, Courses.com.au revealed the creation of a new course necessary for human survival in the future when machines have taken over the world. According to the site, robots are expected to revolt in 2022 and push humans to the brink of extinction by 2030. The course included classes in “Scavenging Food” (SCAV101), “Avoiding Detection” (AVDE101), “Identifying Intruders” (INRU101), and “Shelter” (SHELT1010). “Scavenging Food” would help with finding food when the Earth’s soil was contaminated with nuclear waste and food had become scarce. “Avoiding Detection” was critical to human survival because robots would be continuously hunting and killing humans. 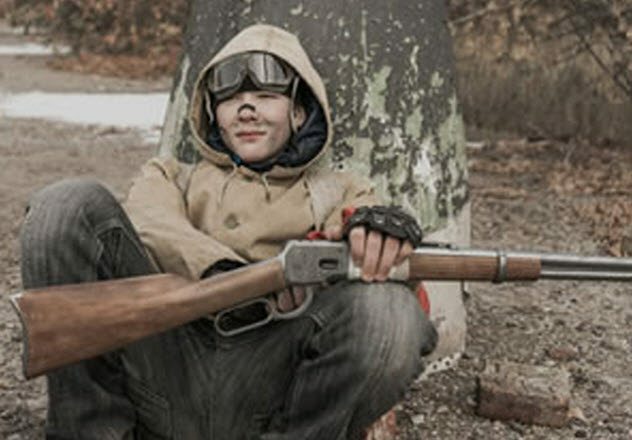 “Identifying Intruders” taught the proper questions to ask when robots mimicked humans to gain access to underground human hideouts, and “Shelter” was necessary to shield humans from dangerous acid rains. People who took the courses could use the certification to secure jobs as Bunker Security Specialists, Mushroomers (Food Specialists), Tax Accountant Specialists, Surface Patrol Specialists, Battery Boys, Gasoline Boys, and Bot Detection Specialists. Payment for the course could be made with 6.5 bitcoins or 12 large potatoes. This joke did not come from either of the companies involved. It came from Wrestling News Source, a website dedicated to reporting wrestling news. 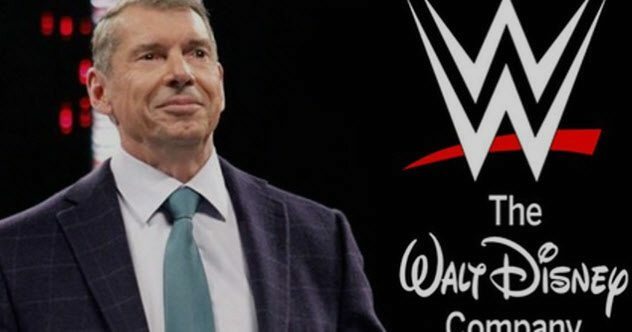 The website claimed that The Walt Disney Company had just purchased World Wrestling Entertainment (WWE) for $5 billion. The sale happened right before WrestleMania 34, WWE’s biggest event for the year, and had been confirmed by WWE Chairman Vince McMahon. Many WWE fans fell for the joke as it spread on Twitter. Someone accused Disney of not playing fair, and another wrote that this was the end of entertainment in WWE. It was obvious that many readers did not finish the article or never followed a link at the end to another page revealing that the whole thing was an April Fools’ Day joke. Facebook and Snapchat had been engaged in series of squabbles even before Evan Spiegel, the cofounder of Snapchat, refused to sell his company to Facebook. However, Mark Zuckerberg’s Facebook went into aggression mode after Spiegel refused to sell. 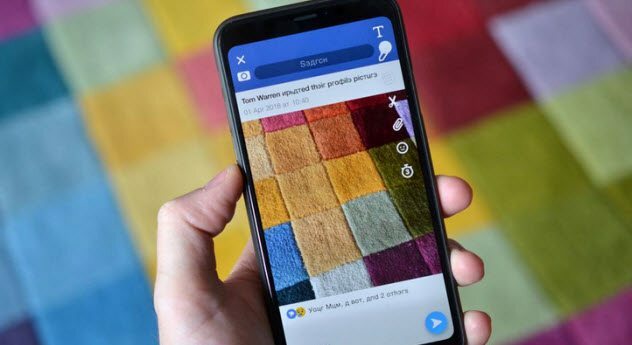 It copied Snapchat’s features, including Stories, and incorporated them into Facebook. In the past, Snapchat had hit back by mocking Facebook over its problem with fake news. In 2018, Snapchat ridiculed Facebook over its problem with Russian bots and its older demographic. Facebook and Twitter had been in the news (until the Cambridge Analytica controversy overwhelmed Facebook) because of tens of thousands of fake profiles operated by Russian bots. Facebook had over 50,000. For its April Fools’ Day joke, Snapchat created a filter that resembled a picture posted on Facebook. The “Likes” section showed that the picture had been liked by the user’s mum (written as “your mum”) and “a bot.” It never mentioned Russia, but the fact that the font on the filter resembled Russian is enough to link the bots to Russia. The filter was only available on April Fools’ Day. 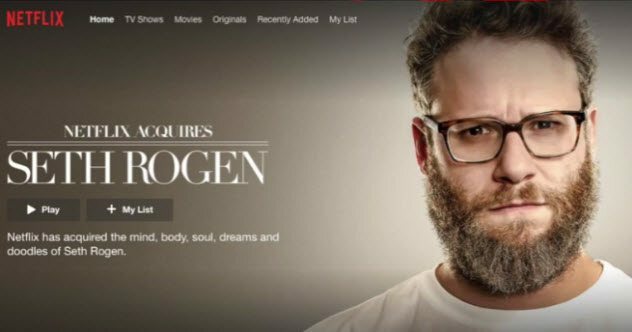 People who logged on to Netflix on the morning of April 1, 2018, were greeted with a banner informing them that Netflix had acquired actor and comedian Seth Rogan. A link on the banner led to a statement and video on Netflix’s site where Rogen said he regretted not reading the terms and conditions of the deal that led to his acquisition. One Jareth Chumley, who was said to be a Senior Netflix Development Executive, stated that Seth had cost a bit more than a meal at Chili’s. The joke doubled as a way to raise awareness for a recording of Rogen’s Hilarity for Charity fundraising event that was streamed on Netflix on April 6. The fundraiser was meant to increase understanding about Alzheimer’s disease among millennials. On April Fools’ Day 2018, dating site eHarmony declared its intent to start a dating service for dogs. 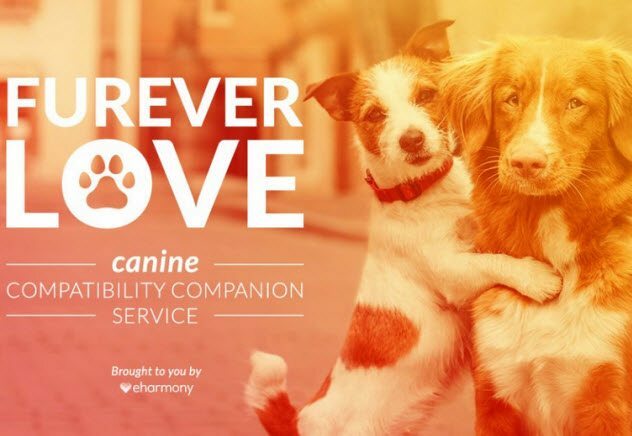 It was named the “Furever Love” canine compatibility companion service. The statement cited a nonexistent study that found that 94 percent of dogs were happier when they had a single partner. The study reportedly used barks and tail wags to measure the level of happiness in dogs. Human users who wanted to use the service were required to create profiles for their dogs and include details about the dog’s personality. The service would then match that dog with another dog while the owners agreed on the date they wanted the dogs to meet. The statement added that there were plans to launch similar services for cats, rabbits, horses, sea lions, and dolphins in few months. The ruse ended by revealing that it was an elaborate April Fools’ Day prank. 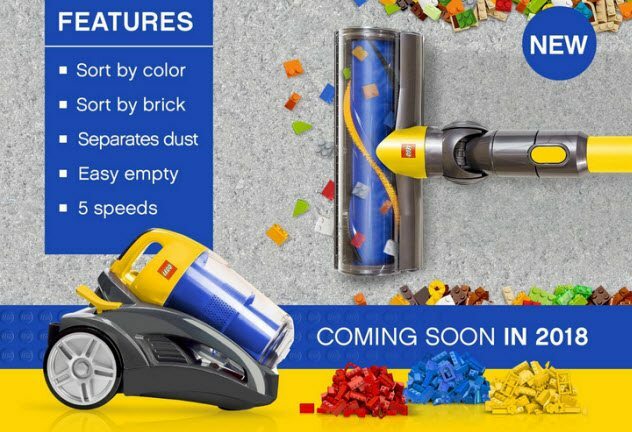 On April 1, 2018, The LEGO Group introduced the VacuSort, a vacuum that automatically picks up and sorts LEGO bricks scattered across the floor. According to the company, the machine, which will be released this year, will pick up, dust, and sort LEGO bricks according to their shapes and colors. Many parents fell for the joke until they realized that it was just another April Fools’ prank. But it didn’t end there. Exasperated parents sent several tweets to The LEGO Group, telling them that this was one product they actually needed. Read about more interesting April Fools’ pranks on 10 April Fools’ Pranks That Completely Backfired and Top 15 April Fool’s Day Hoaxes.